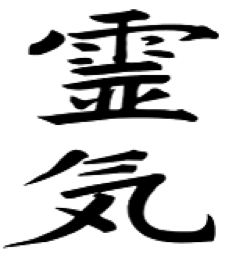 Reiki Is a Japanese technique for stress reduction and relaxation that also promotes healing. While Reiki is relatively new to many of us, it is an ancient relaxation technique dating back thousands of years. The technique is based on the idea that everything in the universe is made up of energy, and this life force energy flows around us and through us nourishing our cells, organs, and glands. When one’s energy is low, imbalanced, or restricted by stress, injury, or illness, we are more susceptible to discomfort, further illness and disease. When one’s energy is balanced, one is more likely to feel relaxed and the body’s own innate healing abilities are awakened and utilized for healing. Reiki has also been called hands-on healing and energy work. Although Reiki is hands-on, unlike massage, it is administered through a gentle touch. While the patient is lying down the practitioners-owner’s hand are placed along energy centers and pathways on the head, neck, shoulders, upper chest, abdomen, legs and feet. As energy is transferred to the patient, the patient may feel warmth, coolness, gentle tingling, or just deep relaxation.